Filter Press Manufacturer & Supplier - Micronics, Inc.
At Micronics you will find a dedicated and knowledgeable team of professionals that you can trust to design and develop high quality, cost-effective filter press machinery and solutions. Micronics will help you achieve your production goals, with solutions appropriate for your market, application, and set of operating conditions. Serving a variety of markets and applications around the world since 1983, Micronics has the experience to help you with your filtration process and dewatering needs. Micronics offers filter presses in a variety of capacities from presses with 2000+ mm filter plates down to functional, lab-scale presses with 150 mm filter plates. There are also a range of filter press frame design configurations, including both sidebar and overhead. Hydraulic systems available include electro-hydraulic, air/oil, and hydraulic hand pump. Though most of our filter presses are designed specifically to the customer’s needs, we also offer new and used filter presses that are available now. Through Micronics’ expert sales and service teams, we can install your filter press, provide training, and assist with preventative maintenance to ensure optimal performance and press up-time. In addition to servicing our own products, Micronics can expertly repair and refurbish or supply spare parts for any make or model of filter press. With Micronics’ technical expertise, there is no reason to settle for a filtration system that is not performing optimally, costing you valuable time and money. Top-notch customer service and technical expertise is a hallmark of the Micronics brand. When it comes to engineered filtration, the Micronics name and brand connote a high level of trust and reliability around the world. 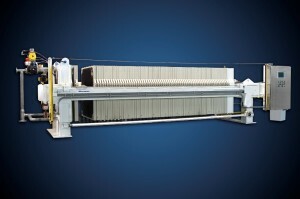 Contact us with questions regarding your filtration equipment or how to further optimize your filter press operation. Our experts are always happy to assist you.